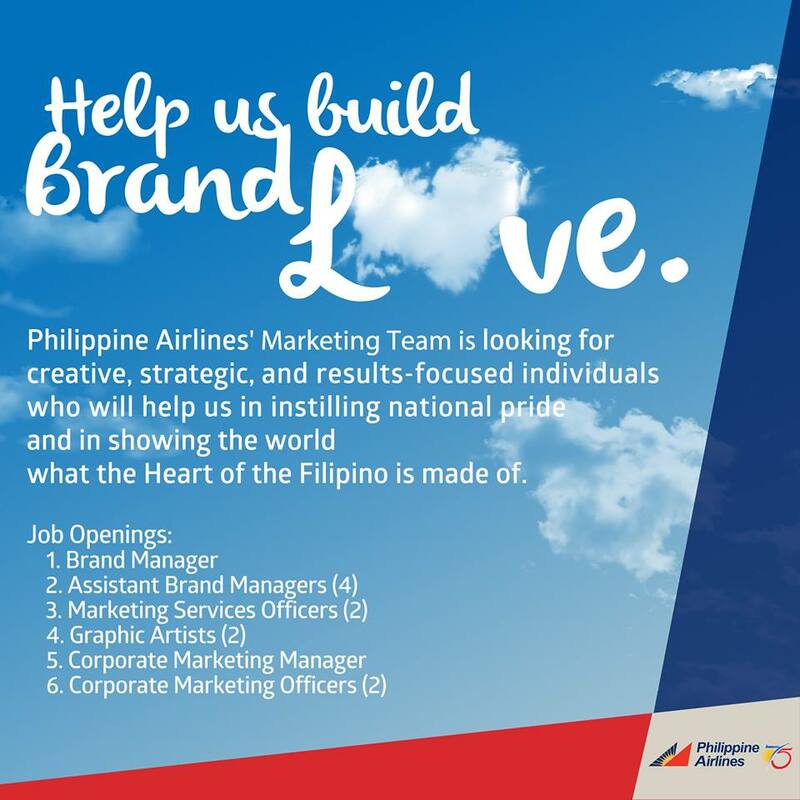 Philippine Airlines Promo 2016: Help us build brand love. Philippine Airlines' Marketing Team is looking for creative, strategic, and results-focused individuals who will help us in instilling national pride and showing the world what the Heart of the Filipino is made of. If your Heart beats the same way as ours, join our team and let’s build brand love together. Email lanelle_ocampo@pal.com.ph for more details.